The Honest 50 Shades trailer: oh so true! 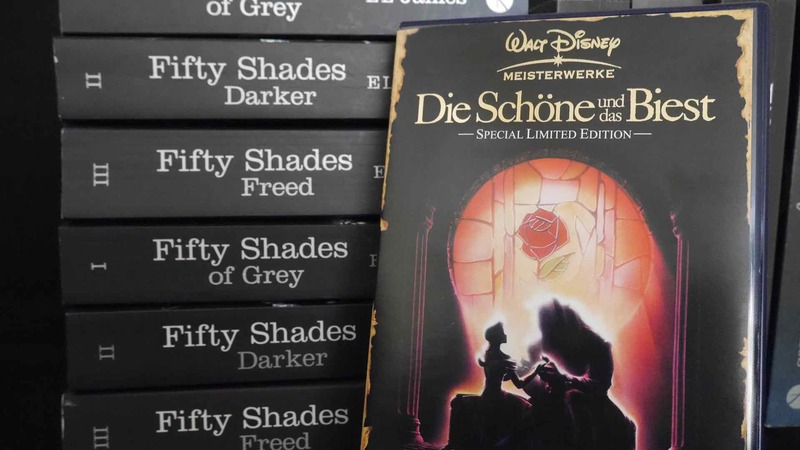 Why do people say 50 Shades is (or isn’t) abusive? I’m getting various search hits with people asking why 50 Shades is abusive, so I thought I would try and summarise the main points in one place. Please bear in mind these points come from the books not the film. If you want a view on the film, I recommend Jenny Trout’s review. As I write this, the film of 50 Shades of Grey is yet to be released. Not only that, but it’s yet to be viewed by press for review purposes. So, there are a lot of limits on what we can currently know about the films. But in my internet wanderings, I came across this blog post: “15 Reasons NOT to watch 50 Shades of Grey This Valentine’s Day“. I found it a helpful overview of the books and why people object to them particularly for those who’ve heard of 50 Shades but don’t know much about it. If you only read one thing about 50 Shades I recommend you make it this. Jenny Trout talks with an author’s voice about why her problem with 50 Shades is not just the books in and of themselves, but also how they were marketed and how E.L. James has responded to the discussions that have arisen from them. You can read it here: Let’s talk about 50 Shades in a calm and rational way. this blog entry that I found a helpful overview for anyone who’s unfamiliar with the books.